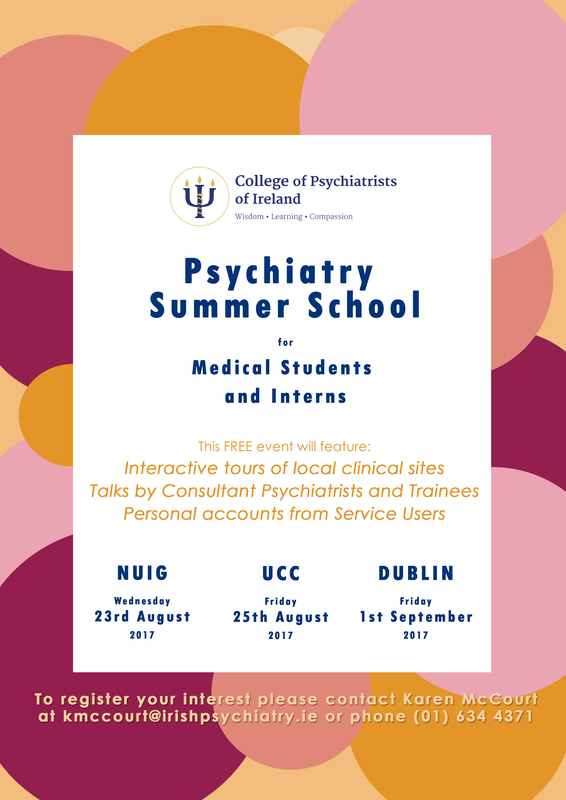 Organised by the Trainee Committee of the College, for this seventh consecutive year, this event is aimed at who are interested in a career in Psychiatry or who simply want to find out more about the work Psychiatrists do. This one-day event is completely free and includes interactive seminars with Consultants and Trainees and tours of Psychiatry facilities, emphasizing both the cutting edge science aspects and psychiatric subspecialties. There is also an evening reception held following each event and ample opportunity throughout the day to informally meet with current Trainees, Consultants and other Students.